The watch has a titanium case in length of 43.5 mm and a width of 37 mm. The watch water resistant - 30 meters. The sapphire dial in silver or black features applied Arabic numerals and hour markers, as well as the two central hands with luminescent coating to indicate hours and minutes. At the 12 o’clock position is posted a double date aperture, at the 6 o'clock position - aperture to indicate a second time zone. At the 8 o’clock position is placed the day / night indicator in blue or orange with luminescent coating. In the center of the dial is set a black honeycomb grid. On the case and on the backside is set a beveled sapphire crystal with multi-layer anti-reflective coating. The novelty Destination 02 operates on the base of the Swiss automatic caliber Soprod 9351/A10-2, on the 25 jewels, with a balance frequency of 28,800 vibrations per hour, 42-hour power reserve, and display function of hours, minutes, date, second time zone and a day / night. The mechanism is additionally trimmed and decorated with the Côtes de Genève pattern. 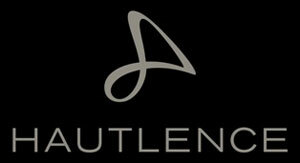 The novelty Destination 02 by Hautlence comes on a leather strap with a titanium buckle.